Property 9: This property is located right on the beach. Property 10: The Library Bach - A special place people love! 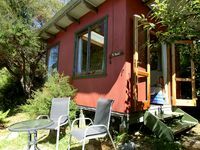 Property 42: Pakawau, Westhaven Hideaway. 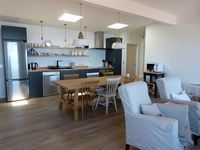 Property 44: Te Hapu Chalet and Sleepout, cosy and romantic.